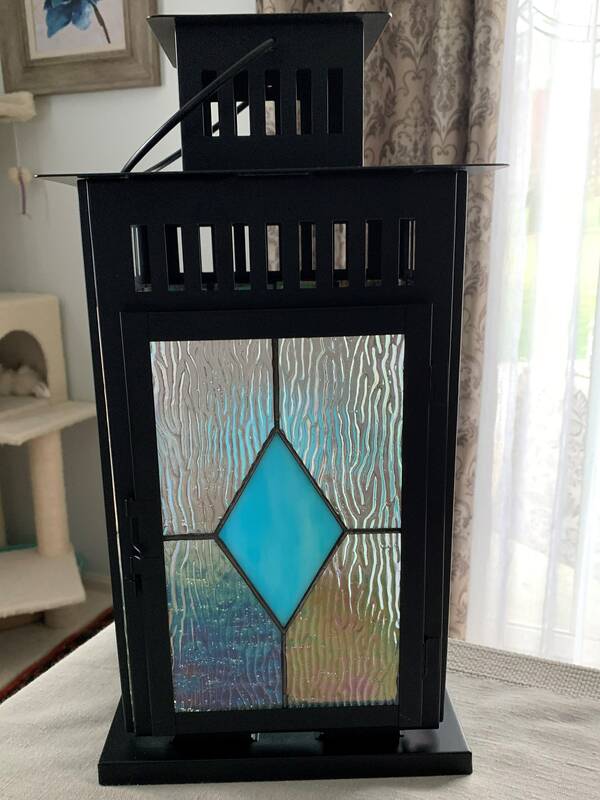 This beautiful lantern was made on 4/14/2019 and features clear iridescent glass with a turquoise blue diamond on all 4 sides. 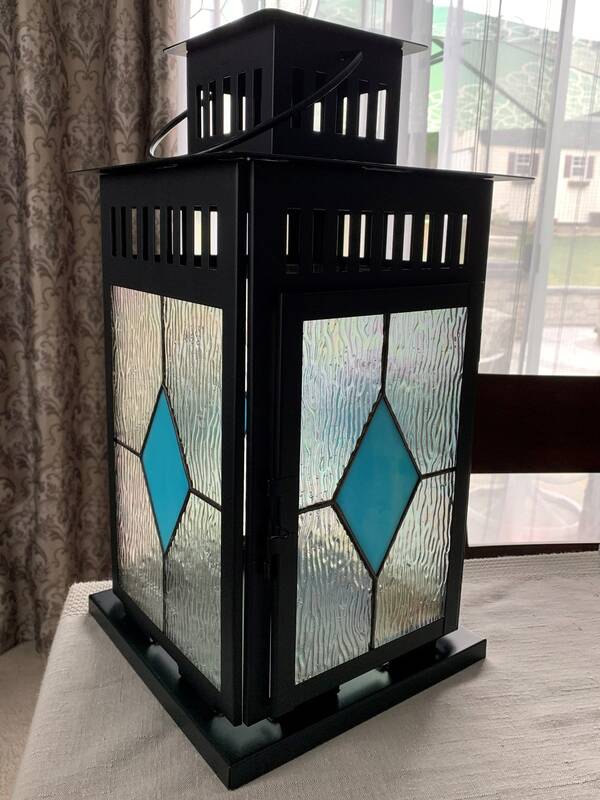 The lantern is 18" (22 1/2" with handle) x 9 1/2" wide. The lantern can be hung by the handle.